This excerpt is from our Winter 2016 newsletter, “The Twig.” Click the cover to view the full issue. In a web of life activity, the participants use string to create a literal web, connecting different elements of the natural world. With each tug or release of tension on twine, they can feel the interdependence. Like connections in the natural world, our Environmental Education Program is making connections in the world of education. We have forged a partnership with Prof. Meredith Park Rogers at the IU School of Education and eight Monroe County elementary teachers. 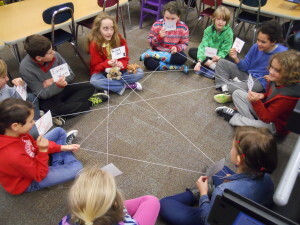 In a web of life activity, students play the role of a component in the ecosystem. Each tug of the string enables them to feel the interdependence of all the parts. 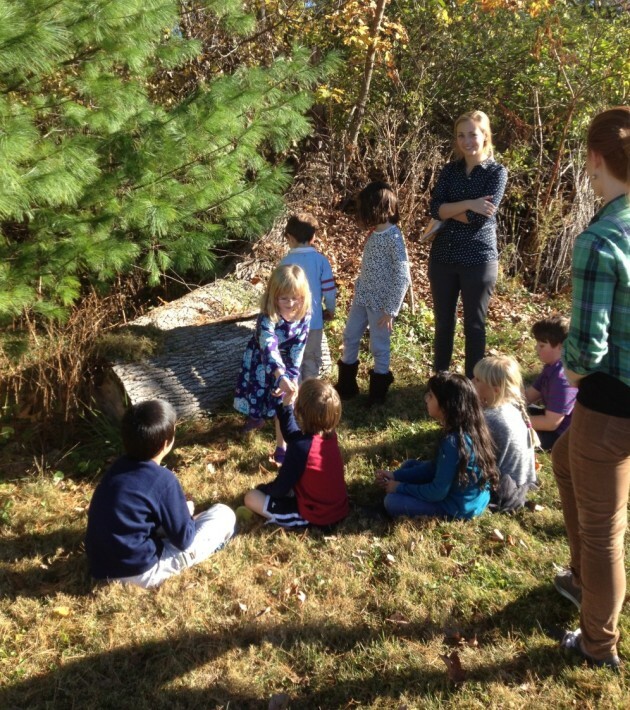 Park Rogers deeply values using the outdoors as an extension of the classroom, so she invites outdoor education professionals to share their teaching experience with her elementary science methods classes. Phase One: During the first month of the fall semester, I taught the university students specific lessons they could use to teach elementary science outdoors. When I was a classroom teacher, I was always trying to find a way to get the students outdoors or infuse nature into our classroom work. “Yes, Mr. Gibson, we know you are obsessed with making maple syrup,” is one comment I remember vividly. 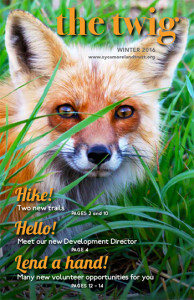 Now I do the reverse: as an outdoor education professional working in schools, I love infusing the outdoor curriculum with literature, good books, and poetry to enhance the experience. IU students helped first and second graders at Rogers Elementary School learn about the five components of a habitat—food, water, shelter, space, and air—by building a mini-habitat. Each group built a habitat for a specific animal, then toured the others while their classmates explained how the habitat they built fulfills all five essential elements. Phase Two: After teaching several university classes, the next stage of the partnership commenced. Eight classroom teachers at Templeton Elementary, Rogers Elementary, and Harmony School agreed to have the elementary education students teach hands-on lessons outdoors with their first through sixth graders. It was inspiring to see the graduate students take activities they learned in September and implement them in October and November. It enriched the experience for the elementary students and teachers, who in turned helped the aspiring teachers hone their skills. In the web of life activity, the oak tree is connected to the puddle that is connected to the mosquito that is connected to the coneflower and so forth. In our web of learning, interconnectedness is also a key feature. Bringing students and teachers at various levels together enhances the educational experience—and instills valuable lessons about the power of outdoor education.